Extendicare Southwood Lakes celebrated it’s Staff Christmas Luncheon at a local restaurant on December 13th. 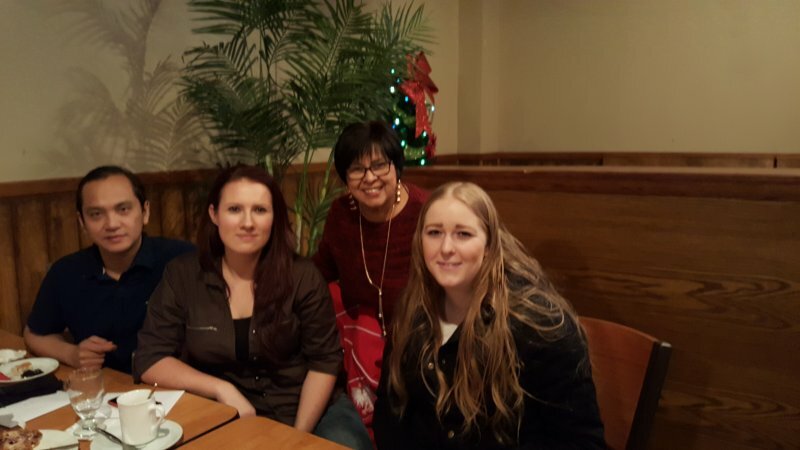 A wonderful meal, fun door prizes and great company made it a wonderful way to celebrate the holidays together. On February 10th, Extendicare Southwood Lakes held their Annual Couples Luncheon with 20 couples attending. On February 10th, Extendicare Southwood Lakes held their Annual Couples Luncheon with 20 couples attending. This event allows couples an opportunity to enjoy a romantic meal with their special someone to celebrate Valentine's Day! 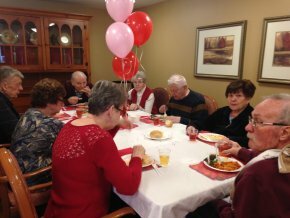 Extendicare Southwood Lakes values their many volunteers. Extendicare Southwood Lakes had a terrific turnout for their Annual Volunteer Appreciation Luncheon. There were about 40 in attendance ! 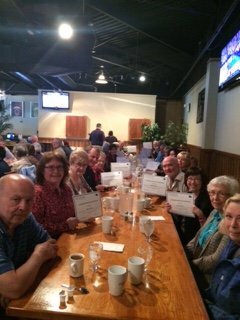 As you can see in the pictures they were very pleased to receive their Extendicare Volunteer Certificates of Appreciation. 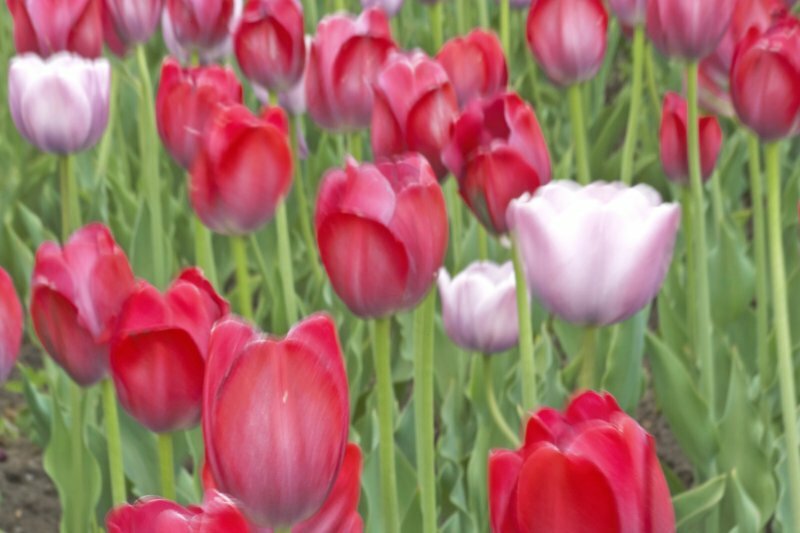 Extendicare Southwood Lakes values their many volunteers. Santa’s sleigh is overflowing at Extendicare Southwood Lakes! Santa’s sleigh is overflowing at Extendicare Southwood Lakes! 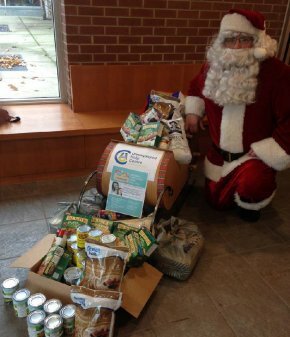 All of the items are being donated to the local Unemployed Help Centre Food Bank. Residents, staff and families have made this year’s food drive a success. 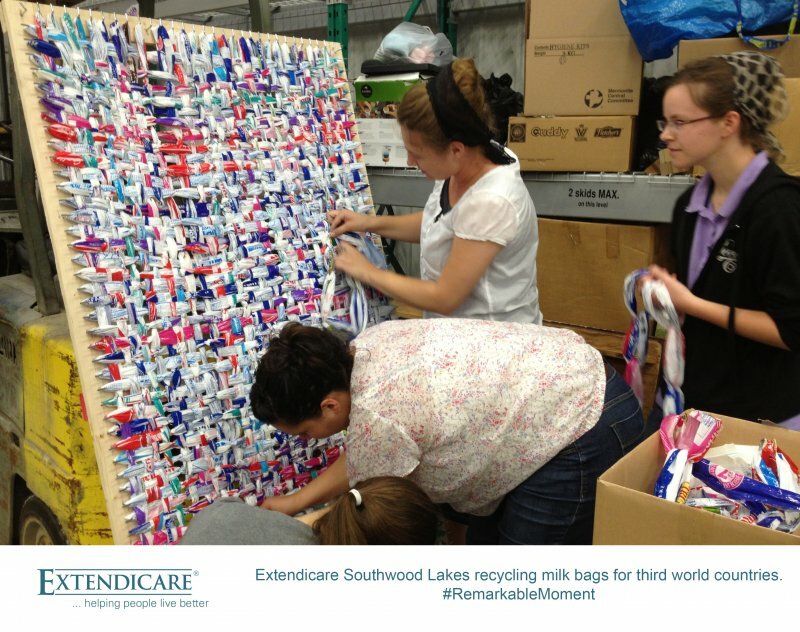 Extendicare Southwood Lakes recycling milk bags for third world countries. For the past four years the Extendicare Southwood Lakes Dietary Department have been saving all the milk bags used in the home that makes mats with a community group for third world countries. For the past four years the Extendicare Southwood Lakes Dietary Department have been saving all the milk bags used in the home for Rose a member of the Housekeeping Department. She in turn makes mats with a community group for third world countries to put under their beds for water proofing. Here at Extendicare Southwood Lakes we help the environment and those less fortunate at the same time! Congratulating Olympic medalist, Kylie Masse! 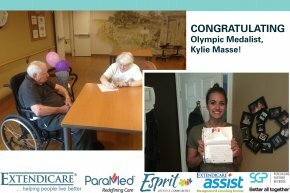 Extendicare Southwood Lakes resdients Mr. J and Ms. L wrote a letter to Olympic medalist Kylie Masse! Extendicare Southwood Lakes residents Mr. J and Ms. L felt compelled to write a letter to congratulate our local Olympic medalist, Kylie Masse. Kylie is from LaSalle Ontario and won the Bronze medal in the 100m backstroke. This letter not only congratulated Kylie on her achievement, but also included an invitation to visit our home to share her Olympic Story. Congratulations Kylie! We hope to see you soon! 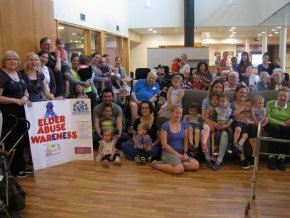 A community gathered to recognize World Elder Abuse Awareness Day. A cheerful community event took place today at Extendicare Southwood Lakes in Windsor, Ontario. 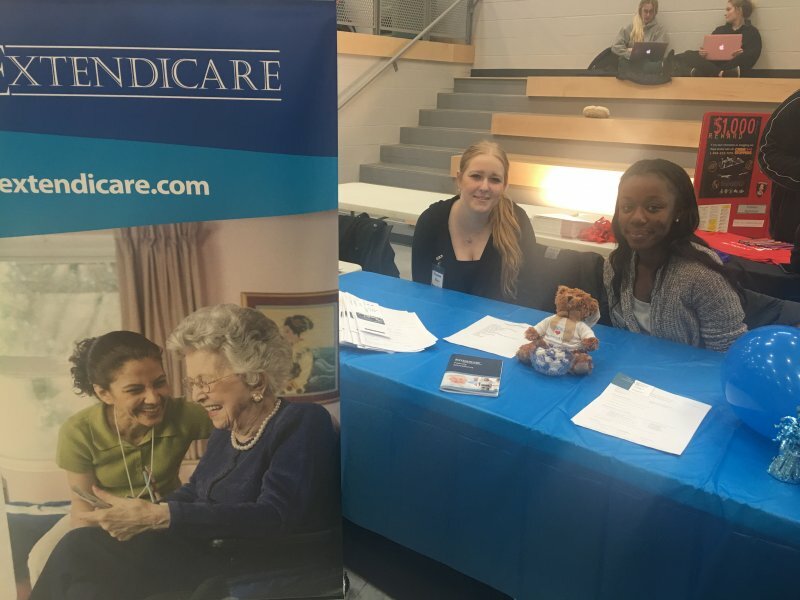 The participants of this event included residents and Activity staff from the home, children and their parents from Princess Elizabeth and Lassaline “Ontario Early Years Centres “ and a student from the University of Windsor. The event was in support of “Elder Abuse Day” and to promote awareness of our senior citizens and their contribution to our community. Many of the participants dressed in purple and sported purple ribbons. The children mingled and visited the residents and they entertained them with music and songs. The music was provided by local pianist, Emily Duff from G.S.D.M. Music, of Windsor. 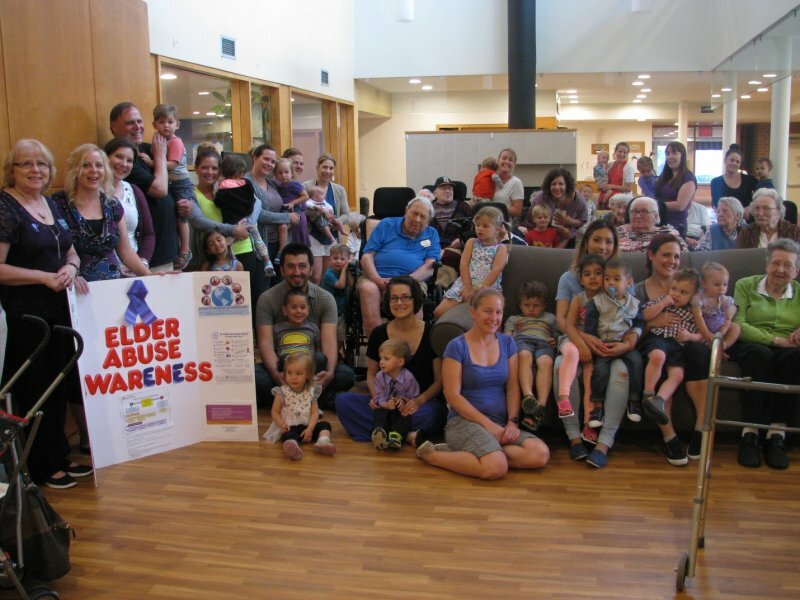 There was a colourful display created by Ashleigh Erdelyan, Master’s student of Social Work and a booth set up at the front entrance where she gave out Elder abuse information and purple ribbons to all who visited our home. 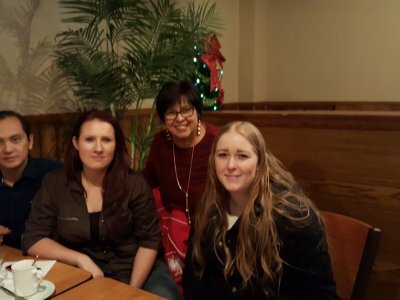 The activities were planned in a joint effort from Lara Hristoff, Program Manager at Southwood Lakes, City of Windsor staff, Kelly Lachapelle, Patty Jankovich and Christina Pare. Following the active sing song they shared beverages and snacks. A good time was beheld by all! Thanks Windsor! S. was a young disabled man in his 30’s when he came to live with us. S. was a young disabled man in his 30’s when he came to live with us. Confined to a wheelchair, he was understandably very restless, uncomfortable and miserable. He needed to be able to move and stretch but how could we make that possible? Our solution was “S's Room”. We set aside a room and converted it for him. We secured all cupboards and doors. We installed foam mats from wall to wall. His family brought in personal items that were meaningful to S. Now S. has a place that’s all his. We take him from his wheelchair and place him on the floor and he is free to move, roll and stretch to his heart’s content. 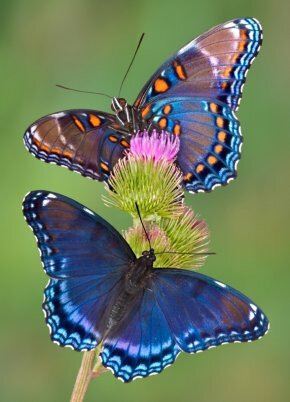 The freedom has completely changed his outlook and demeanor. J. suffered from dementia and he was beginning to exhibit more responsive behaviours toward staff and other residents, as well as wandering into other resident’s rooms and being disruptive. As part of our Music and Memory program, we created playlists of music from his generation to occupy and distract him but it was not proving to be very effective. Then we learned from his family that J. loved sports and baseball in particular. Our program staff discovered a way to download play-by-play recordings of old baseball games and substituted those for the music on J's iPod. It was like night and day. J. loved listening to those old ball games and would listen very happily to them. His responsive behaviours dropped off and his mood improved significantly.